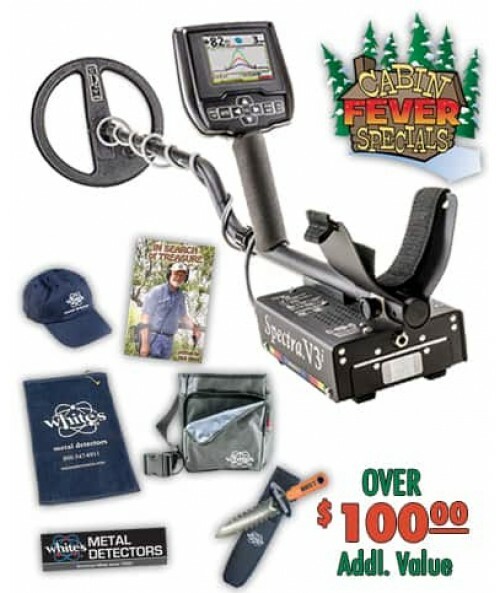 White's premier treasure huntung detector with Cabin Fever Kit. 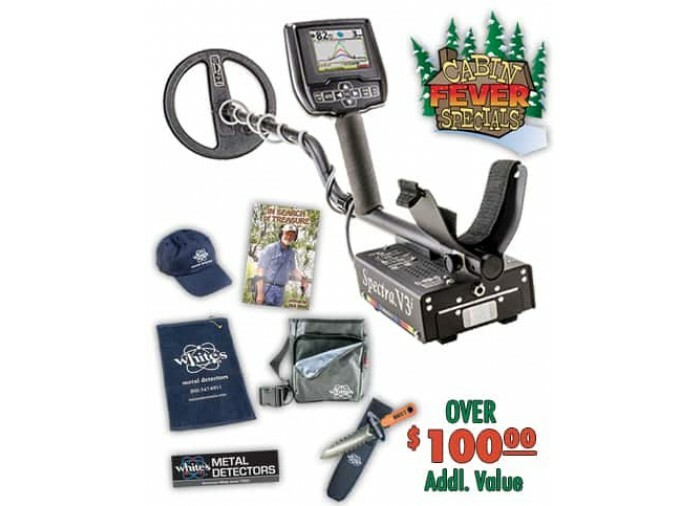 Has over $100 in FREE accessories thru May 31. 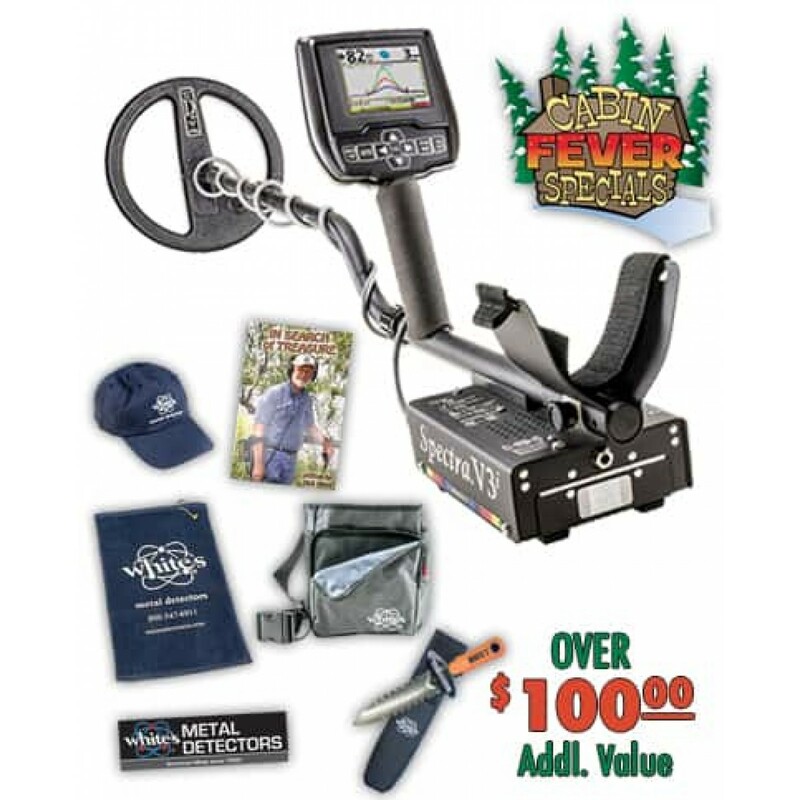 DigMaster, Signature Hunting Pouch, Towel, In Search of Treasure Book, Baseball Cap and Bumper Sticker. 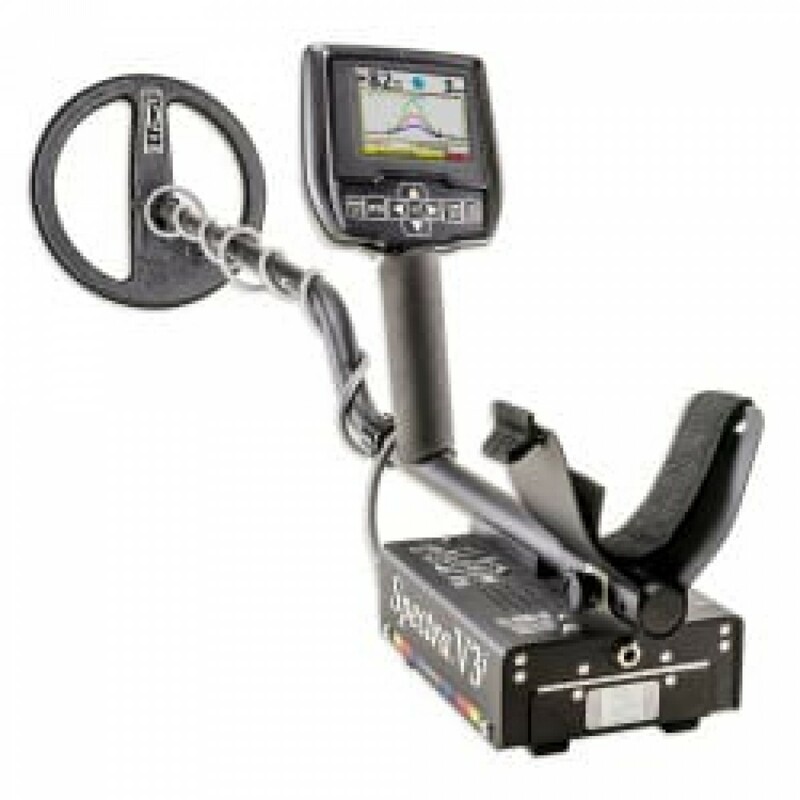 The Spectra V3i is White's premier metal detector. 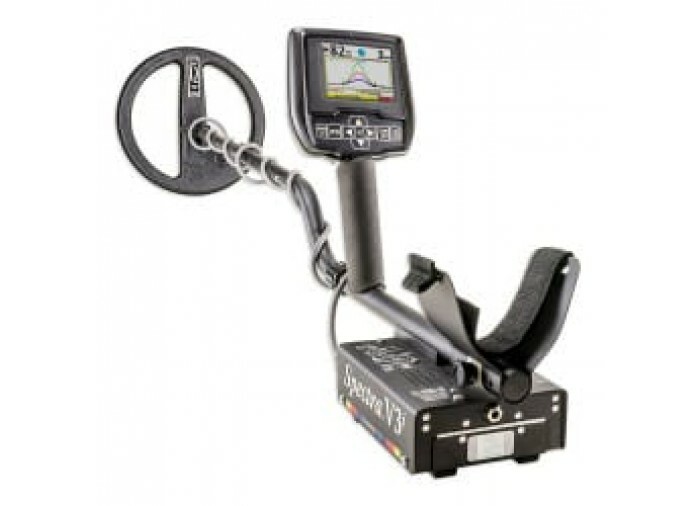 Has all the treasure-hunting features, and your investment is backed by a comprehensive 2-year warranty. The V3i works best with the included wireless SpectraSound headphones. White's premier headset lets you hear every signal with astonishing clarity and without worrying about distractions or tangled cords.